Successfully Added Bluetooth Digital Picture Frame - 5.6 Inch TFT Screen to your Shopping Cart. 5.6 Inch TFT LCD Digital Photo Frame with imbedded Bluetooth ability making for a very unique and cool gadget. 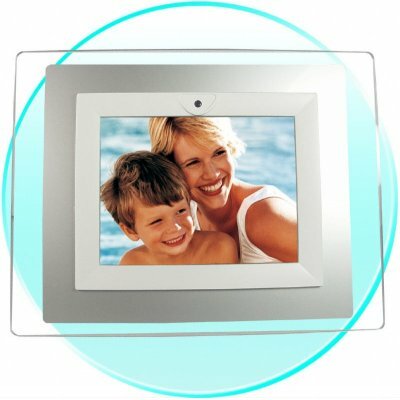 The Bluetooth function for this Digital Photo Frame will let you wirelessly transmit songs from a Bluetooth enabled device directly, without having to worry about cables or computers. If this nice gadget feature is not enough, you are also getting a multi-card reader for expanding that memory up to 2 more GBs, high resolution, AVI Videos, and more. Display all of your favorite digital pictures in style with this no MOQ Bluetooth Picture Frame direct from China.. Does not have a MIC and will not display phone numbers. You can transmit music files.